All eyes around the country are on Philly this week due to the Democratic National Convention, and that means we’ll be hearing positive and negative comments from anyone and everyone who think their opinion matters. 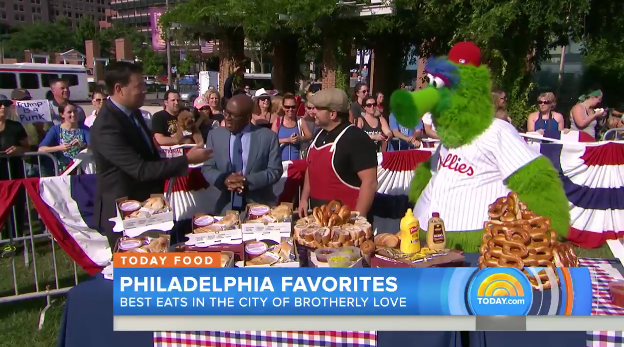 But for NBC, they pandered to Philly this morning and had the Phillie Phanatic on the show during a segment on Philly’s best of the best foods. Cheesesteaks, right? Nah. Watch below and you’ll be surprised.